In the Filipino Martial Arts there exist micro games within categories and ranges of weaponry. It is within this flow that attributes and combative skill can be developed and ingrained safely and progressively. 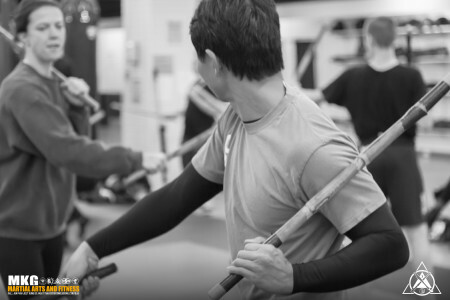 Coming back to Bruce Lee’s analolgy the drills are what we sometimes call ‘filling the pool’ and it is the variables, broken rhythm and choice reaction within the drill that we need to get to. But first we needed to fill the pool. Sumbrada is one of those training methods and generally starts out with a counter-for-counter structure. We will be working on our 12 basic contra sumbrada patterns with double sticks then progressively coming back to stick & dagger, single stick, double dagger and single dagger if time allows.